← Contagem regressiva ao primeiro megaevento: quanto o Rio já andou? Second in a series of profiles of foreigners who bring their dreams to Rio de Janeiro. Here’s the first. How does business get done in this country? ESPN recently asked in 2014 World Cup: Will Brazil Be Ready? The first step taken on a path from Santa Barbara, California, to Rua Barão da Torre in Ipanema was when Sam Flowers was a mere ten-year-old, begging his mother to let him learn how to decorate cakes. That led to a B.S. degree in hotel administration at Cornell University, with an eye towards opening a restaurant. “The irony is that I learned enough about the business to get frightened away,” Flowers admits with his easy smile. Even so, while earning an MBA he continued to decorate cakes, dreams on a back burner. Flowers spent eighteen months here in 2004-5, that included a stint at PUC to learn Portuguese. He also scouted out locations, entertaining thoughts of chocolate chip cookies and brunch. 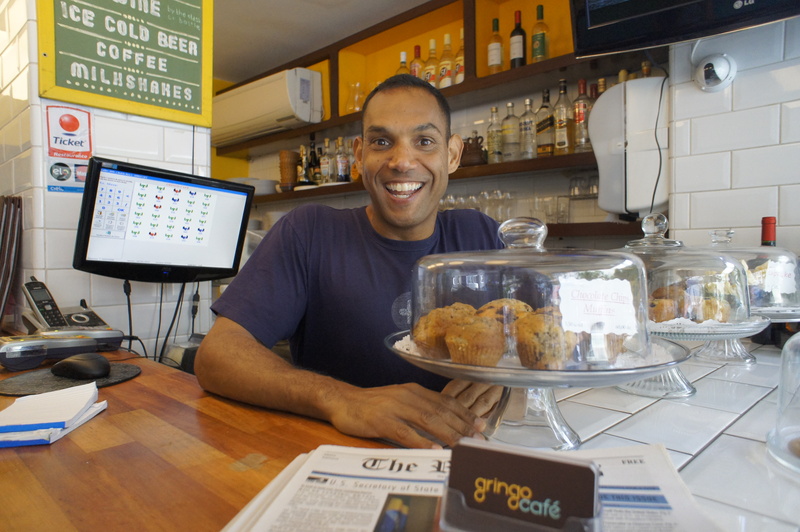 On learning that opening a business will get you a resident visa, Flowers reserved the name Gringo Café on the internet. Then he went home to develop a business plan and put together the necessary funding for his enterprise. “You have to have a back-up plan,” he advises. “With enough resources for a worst-case scenario. Not having enough cash set aside is one of the top reasons restaurants fail”. According to Flowers, nine restaurants in the vicinity of the Gringo Café have opened and closed in the two years he’s been in business. No positive cash flow for from one to three years is typical in the restaurant business, he adds. Is it cake frosting yet? 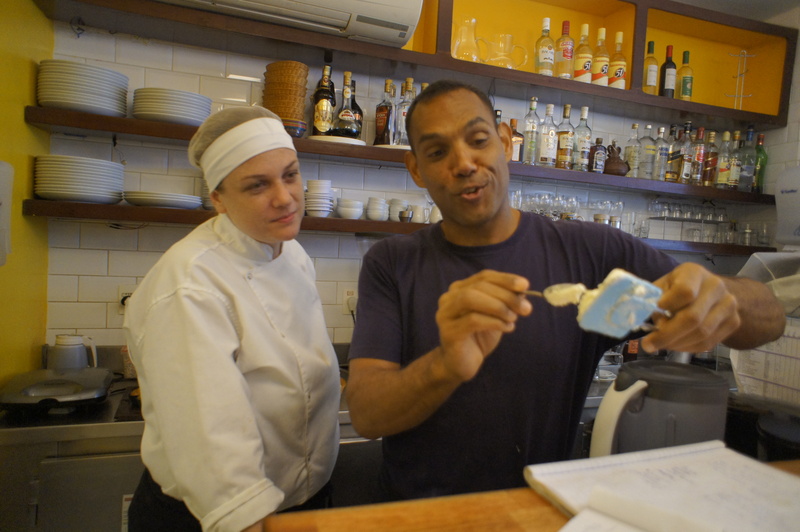 What are the biggest problems a gringo restaurateur faces in Rio de Janeiro? Economists have long described and lamented the so-called “Brazil Cost“, which retards business vitality for everyone, not just foreigners. Steps have been taken to reduce this at different levels of government. But much remains to be done. Meanwhile, revenue in the Gringo Café’s second year is up 15-20% from its first year. Rio’s high dining-out prices have actually helped business, as tourists and locals head away from prime venues on Avenida Visconde de Pirajá to find more affordable meals on back streets. This entry was posted in Brazil, Transformation of Rio de Janeiro / Transformação do Rio de Janeiro and tagged Gringo Café, investing in Rio de Janeiro, Rio de Janeiro entrepreneurship, Sam Flowers. Bookmark the permalink.